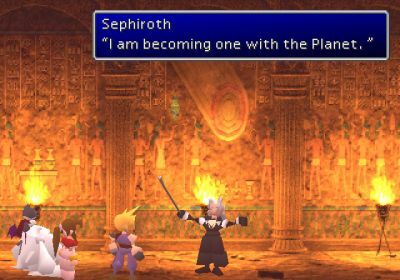 I’ve already discussed religion before in Final Fantasy VII. To be sure, there are a lot of religious themes in VII, especially when it comes to Aerith’s character, who I think is a female Christ figure. Even the background of her people—who are referred to as the Planet’s chosen people—plays off a lot of Judeo-Christian themes, such as the search for the Promised Land. Not everything involving her people, the Cetra, are Judeo-Christian in nature, though. The Temple of the Ancients, for instance, is shaped much like a ziggurat, and the one room inside it has what looks like hieroglyphics. 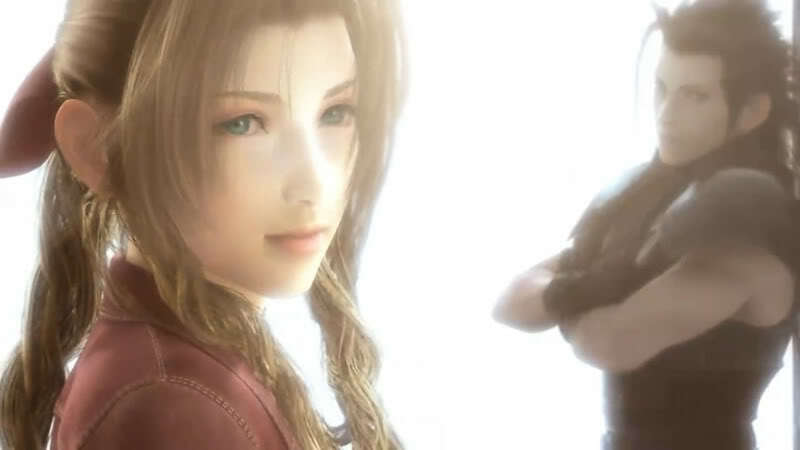 I’m not about to launch into another post about Aerith, however, even if I left out a lot of things in my other post. What I plan to talk about is how religion in VII affects the culture of the world, by which I mean, not very much, if at all. Much like Final Fantasy X, the entire plot of VII is based around religious themes, especially if we continue to consider Aerith as a Christ figure. However, religion has not overtaken the world like it has in X, wherein the church is actually the leading political power. Here in VII, that honor goes to Shinra, an electric company, founded on Mako energy, which is sucked out of the Lifestream, which is essentially the Planet’s blood. And as I said before, the use of Mako is slowly killing the Planet, which would be our God/heaven figure if there is one. The Lifestream in VII being a living entity that everything and everyone on the Planet needs to survive is an indisputable fact in this universe. Despite that, the terrorist group AVALANCHE, Aerith’s deceased ancestors, and a few select others seem to be the only people around who care that the Lifestream is dying. They do recognize it as a living entity from which all life stems and eventually returns to upon death. They also believe that they and everyone else own the Planet a debt for all the harm done to the Lifestream over and before the course of the game. What I find interesting here is that, despite recognizing the Lifestream/Planet as a higher form of life, and despite all the Judeo-Christian themes regarding Aerith and her people pervading the world, none of the characters are actually very religious. In fact, I’d daresay that they’re not religious at all. There’s an abandoned church that acts as a very important setting, both in the game and in the sequel, but no one actually prays or worships in the traditional sense. All in all, the characters act very atheistic, despite everything. Then again, the Lifestream never actually proclaims itself as God or a deity of some kind. What we know about the Lifestream is not that much to begin with. It’s a sapient being that talks to Aerith. It’s the reason life can exist. 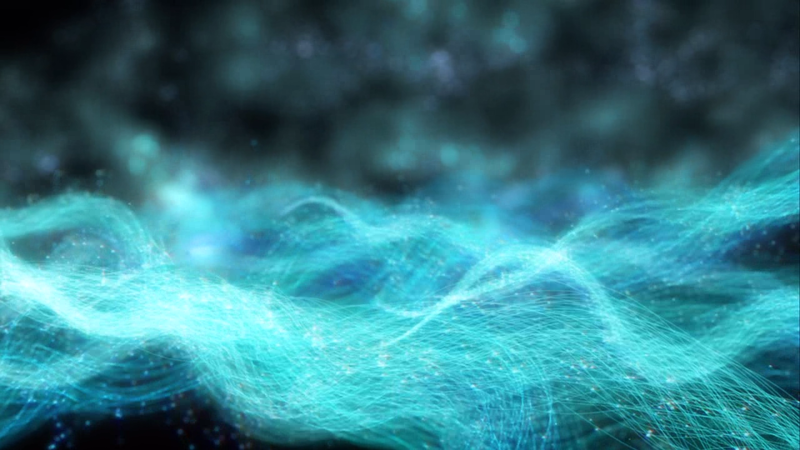 It’s based on a flow of energy: people are born, die, return to it, and are then reborn. It is a set of practices, to be carried out diligently, to establish a connection between present day Japan and its ancient past. Shintoism also has a lot to do with cleanliness and water, and water does seem to play a very large role in the story, such as in the sequel when Aerith’s spirit heals everyone suffering from a plague by making water shoot up out of the Planet. Reincarnation is also a big part of the Lifestream, though we never actually see it happen in the story. The two big characters who die, Aerith and Zack, kind of just hang around as ghosts. I could go into Buddhism and enlightenment, but let’s not. I honestly don’t think VII suffers from not exploring the character’s religious beliefs outside of “OMG, let’s save the Planet by setting off explosives”. As I’ve mentioned before in previous posts, our heroes do some pretty heinous things and this is a pretty gruesome world. I’m not saying that the use of religion would change how gruesome their world is—as far as I’m concerned, it might just add to all the badness—but the characters stopping and praying at random intervals or engaging in set religious practices would be against their characterization. AVALANCHE has set out to save the Planet, because otherwise everyone dies. That is an indisputable fact to them, and in many ways, in this world, it’s also a scientific fact. They don’t need belief in a higher power to believe that the Planet is alive. What I like a lot about the world of VII is that there are numerous peoples and cultures. If the game were like X, with one giant religious organization ruling everything, that would completely change the setting. The people in Midgar live completely different lives than the people in Wutai, and they also seem to have different sets of values. In many ways, the use of religious themes in VII helps to enhance the setting, but they don’t override it. The game would be vastly different if that were not the case, and I doubt as many people would have fallen in love with it. This entry was posted in Fantasy, Final Fantasy, opinion, Religion, Reviews, Video Games and tagged Aerith, AVALANCHE, female Christ figure, Final Fantasy, Final Fantasy VII, Final Fantasy X, Judeo, Lifestream, mako, Religion, Shinra, Shintoism, The Planet, Zack by MadameAce. Bookmark the permalink.